You have a magic window ;). It opens for beauty. So, I guess it is about time to sleep with my window open. 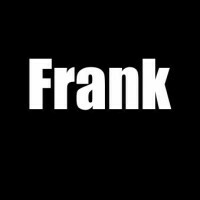 I have enjoyed all the versions you have written Frank. Great to read each twist. I am inspired. Thank you so much. I am glad to know that you enjoyed the series. This is what I have been waiting for. Glad you are back. Changing by you own poetry. Doesn’t it has to be by the reader, or am I just playing stupid. Well, at least by one it worked. Window of your mind? Or a physical window ? Lol. Love that it’s open to interpretation. Wow! this is just a sixer,Frank! I loved these lines! One should always leave that window open, such joy. There is a saying: When the muse is at the side of your bed you do not tell her you’ll make love tot her later. Good one! 👌I like this! Changed for better I hope. I wrote similar poem. Can I show you? Obviously. You can put it here in the comments so that everyone can see it. Selecting an idea I sit down. catch a poem of value. whirling to an unknown tune. Everydayness of life drifts away.